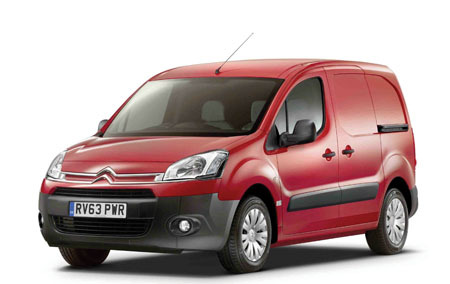 Citroen’s best-selling light commercial vehicle (LCV ), the Berlingo, has been updated. This popular LCV now benefits from further fuel economy improvements and emissions reductions as well as being refreshed with exterior changes, a new gearbox, and more in-cab storage. The refreshed Berlingo range gains a new chrome grille, new side rubbing strips and revised side skirts. Internally, to increase the Berlingo’s already high levels of in-cab storage, all Berlingo vans and platform cabs now gain a full-width, over-windscreen storage shelf with map reading lights on either side for both driver and passenger. In addition, all Berlingo Airdream models previously specified with EGS6 automated manual gearboxes will now be equipped with a new ETG6 (six-speed Efficient Tronic Gearbox ). The ETG6 gearbox has been developed to provide improved driveability. The ETG6 gearbox has optimised pedal mapping to adjust power effectively for smoother start-ups and acceleration. Gear change speeds are modulated more precisely, based on driver input, for improved performance and comfort, and its optimised gear shift patterns further improve efficiency. All Berlingo vans specified with the new ETG6 gearbox also have Electronic Stability Control (ESC ), traction control with Hill Start Assist, a passenger airbag, cruise control with driver-adjustable speed limiter and a new Gear Shift Indicator as standard. New to the Irish range the Berlingo is now available as a Crew Van and a Platform Cab. The Crew Van offers a unique combination of up to five seats, a 722kg payload, exceptional load length and a class-leading load compartment. The Citroen Berlingo Platform Cab is a robust, versatile vehicle, designed to be adaptable for many different kinds of specialist conversions. Also the latest Berlingo SWB vans powered by the HDi 90 (non e-HDi 90 ) engine benefit from an improved combined cycle fuel economy figure of 56.5 mpg and a CO2 emissions reduction from 138 g/km to 132 g/km. At the same time Berlingo LWB e-HDi 90 Airdream manual vans see a combined cycle fuel economy improvement to 57.6 mpg and CO2 reductions to 128 g/km. Citroen has also completed a programme to optimise payloads, which has resulted in an increase for virtually every Berlingo van. As a result the Berlingo HDi 90 Manual SWB 850 models now have a maximum available payload of 896kg. The latest Berlingo is offered, dependent on model, with a choice of two trim levels (X and LX ) and three power trains (2 x diesel/1 x diesel micro-hybrid ). As part of this choice, the Berlingo includes the advanced e-HDi 90 Airdream ETG6, which features micro-hybrid technology with Stop & Start and the new ETG6, six-speed automated manual gearbox. This drivetrain delivers CO2 emissions from just 118g/km and a combined cycle fuel economy figure of up to 62.8 mpg. The Berlingo range includes SWB and LWB versions, which provide a maximum load capacity of up to 4.1cubic metres, a three-seater Extenso multi-function folding passenger seat (excluding X models ), payloads of up to 896kg and a five-seat crew van, so there really is a Berlingo van to suit every requirement. The new Berlingo was also crowned UK’s Fleet Van, Small Van of the Year at an awards ceremony in London. Beating off strong competition, the current Berlingo has now gained this prestigious award for the third time.